Just a quick update, the throttle box was changed and all has been good for the last couple of months, so I'm one happy bunny again! NOT HAPPY! 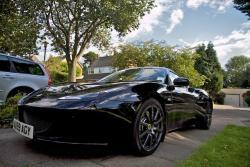 So my Evora has to go back to B&C again! Same problem, warning light comes on randomly and fault codes point to throttle actuator control system, something I believe relating to the throttle position sensor. B&C had it for over a week last time whilst I was away on business and I hoped everything was fixed, I know they did everything they could based on advice from the factory but here I am again. I hope this time it can be finally resolved and I can go back to enjoying what is truly an amazing (when working) car. My engine warning light came on last week, codes found it something relating to the throttle, B&C did a software update and all good until the light came on again this morning limiting the engine response, (as it should) but very annoying, is it just electronics playing up or do I have a problem? Mine is a Launch Edition. So another trip to B&C which I really don't have the time for. I did ring Lotus but they where not sure what it could be. I did have this once last year also, I really hope it can be sorted this time, I am loving the beauty but the comments from my colleagues driving Porches are becoming a bit to regular. Has anyone heard the QuickSilver system? Is there a Kreissieg UK dealer? Not sure if I can justify the price but it sounds great. What's the next best? Thanks I will give them a shout. I just scrapped one rear alloy really quite badly (anthracite forged) in a multi story, not happy at all! Is there some one in Surrey who could take a look? dare I ask how much a new one costs? Hey Bibs yes I think it is time!